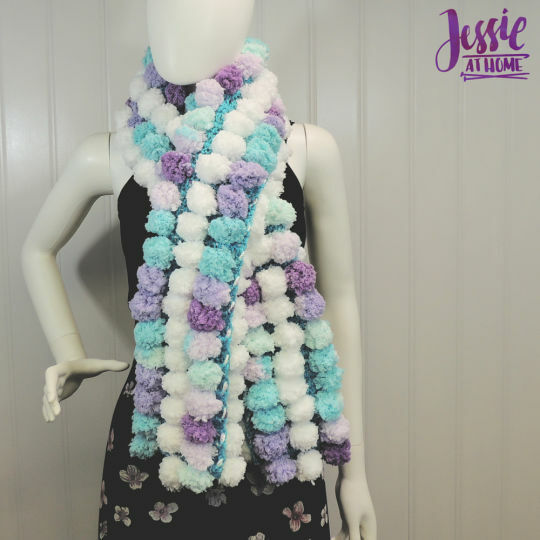 The Doodle-Stripe Scarf is a super-fun reversible scarf full of pom poms and color! Choose your two favorite colorways of Red Heart Pomp-a-Doodle yarn and one skein of Red Heart Soft to make it your own. If you want to make it longer for a teenager or adult, just grab 2 skeins of each of the Pomp-a-Doodle colorways. The Doodle-Stripe scarf will bring a smile everywhere it goes! Stay warm and playful.